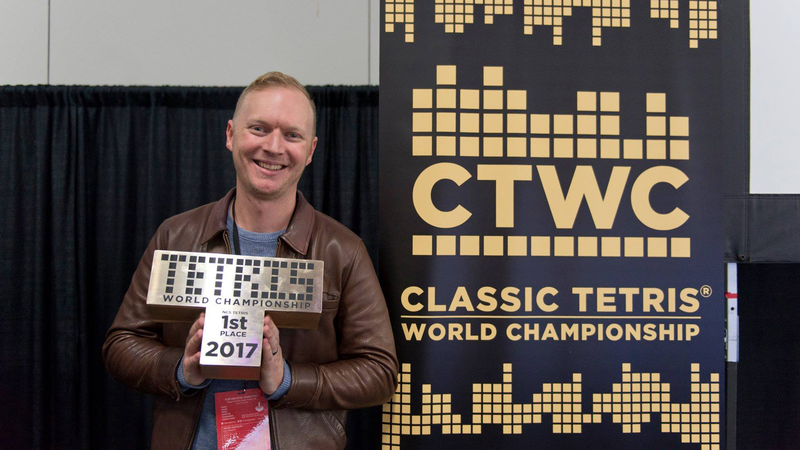 Of the eight Classic Tetris World Championships that have ever been held, Jonas Neubauer has won seven. The 36-year-old Neubauer, a microbrewery manager from Redondo Beach outside LA, bought the Nintendo Entertainment System version of Tetris after seeing it on the front cover of Nintendo Power magazine in November 1989 when he was eight, and it stuck with him as he grew up. "It was just one of those things that I dragged with me every time I moved," Neubauer said in a phone interview. "I had an old TV and a Nintendo, and just slowly kind of plugged away at the game, and thought it was a fun way to relax." Throughout his 20s, Neubauer played other games, at one point going through an intense MMO phase. Only Tetris remained a constant. He didn't see himself as some sort of virtuoso. It wasn't until the late 2000s, when he was deep into a career in real estate finance, that he first considered what he might be able to accomplish with the game in a more competitive setting. Submitting scores to message boards and later uploading them to YouTube gained him visibility and eventually a seat at the inaugural World Championship in 2010, held in Los Angeles. At the time, Neubauer wasn't very high-profile, but he made his way through to the grand finals against Harry Hong, the player who famously set the game's first verified score of 999,999 in 2009. Hong played conservatively and only occasionally made mistakes, while Neubauer played seeming with abandon, building stacks up dangerously high before always managing to bail himself out in the nick of time. He won in an upset. When the championship moved to Portland, Oregon the next year, he won again. And again the following year. He hasn't lost since 2014, when Hong convincingly outplayed him to the point where Neubauer trailed by over 100,000 points in the final match. Through the wins and the sole loss, Neubauer has grown both as a player and a person. While he doesn't let Tetris define his life, he believes that the way it's taught him to think — and the confidence he's gained from being so good at it — have sent him down a different path than the one he was on before he started competing. Putting Tetris pieces in order helped him get his own life in order as well. "The captivating nature of the game is, you always die, so you're trying to get better to die less, but there's no real perfecting the game," Neubauer said. "If you play Final Fantasy 7, you beat the game and you kind of put it down. But it's this weird, open-ended nature of Tetris that kept me coming back." Tetris is one of the most popular games ever created, selling over 125,000,000 copies across too many different platforms to name. That kind of success would have been hard to predict just by looking at the game when Russian programmer Alexey Pajitnov was building it on an Electronika 60 in 1984. Blocks falling from the top of the screen to the bottom that the player must fit together in order to make them disappear is not the flashiest premise. But when publishers including Nintendo licensed the game, it blew up worldwide, with Nintendo's Game Boy and NES versions being especially popular. It turns out that trying to manage geometric chaos can be very addictive. But while Tetris was a major part of Nintendo's 1989 World Championships competition, an official competitive scene didn't reemerge around the series until just recently. Thousands of people across the globe have been secret Tetris geniuses without even knowing it, since organised events showing off people's skills were rare or nonexistent. And while newer versions of Tetris have occasionally become popular, like the Tetris: The Grand Master series and 2014's Puyo Puyo Tetris, there's a nostalgia and purity about the classic NES game that makes it especially captivating. It also happens to be the one Neubauer is best at. He's not great, he says, at the later "hard-drop" versions of the game, in which players can automatically place blocks at the bottom of the well without waiting for them to fall. Or the "hold chambers" versions that let players store blocks and swap them out at the right times. These versions, he says, favour speedy players, but Neubauer is "better at the brutal, old school, slow but methodical kind of Tetris." The source of Neubauer's virtuosity remains hard to pin down. It could be his knack for focusing in on small details and pushing everything else out of his mind. It also might have something to do with his practice regimen. It's not as rigorous as you might expect for a seven-time world champion — three to four hours a week, if that — but through it he pushes himself to play outside of his comfort zone. "There's players that can actually vibrate their thumb and move pieces left and right faster than I can," he said, but without being able to cull these advantages into a higher level of strategy, it doesn't amount to much. 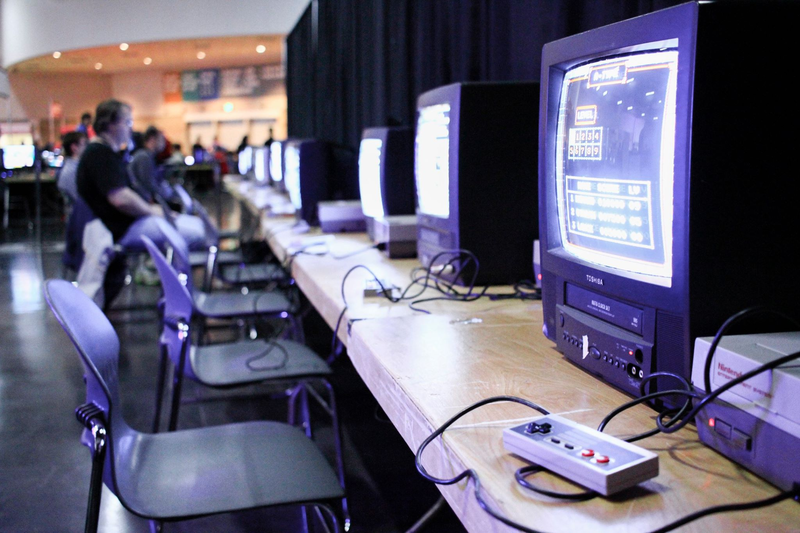 A row of CRTs and their accompanying NES consoles setup at this year's Retro Gaming Expo for the Tetris tournament. 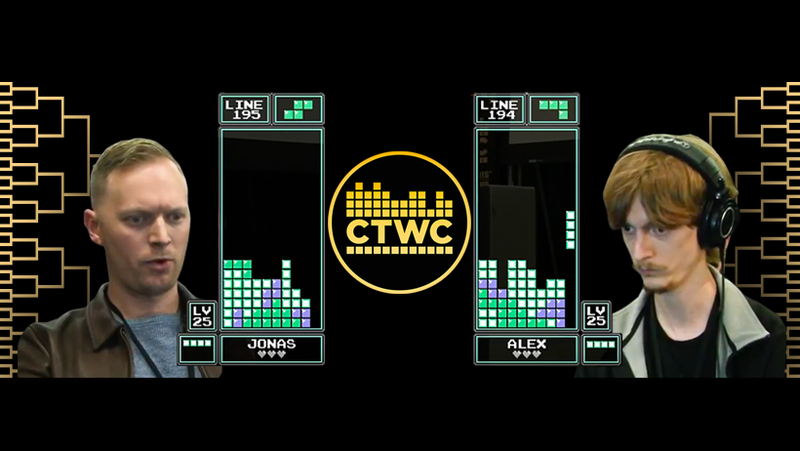 Image via Classic Tetris World Championship. "It's a very kind of humbling experience when you try to add a new element to your game and you play worse for, you know, upwards of six months," he said. "You want to be in your comfort zone and not make new decisions — just kind of play the programs that you've built over the years. But if you can pull in new elements and stretch yourself out for a little bit, you ultimately get better because you'll ultimately be able to recognise more patterns." Even though the World Championship is based on the NES version of the game, it's not played on NES hardware. It's not even the standard version of the game. What's used in the Championship is a specially tweaked version of the game, running via an emulator, that gives each competitor the exact same randomly-generated sequence of falling pieces. This eliminates the luck factor; you won't lose because the guy next to you kept getting four-bars to complete his Tetrises while you were stuck with an endless run of Z-shapes. Instead, players try to balance maintaining control of their tetrimino stacks with completing tetrises, the simultaneous four-row clears since the former is safer but the latter awards more points. In practice this leads to stacks that slant either left or right as players try to build up evenly while waiting for the four-block linear pieces that a Tetris requires. "The standing joke is 'Hey, I've got a U-Haul to pack, I bet you're the man for the job,' which couldn't be further from the truth." "Usually people play in that second-level state where you know what you're doing with this piece and then you look at the next block and you have a plan for that as well," said Neubauer. "But there's a third stage where you can quickly change what you're doing with your current piece because of the next piece." He started thinking this way, he said, after his loss to Harry Hong in 2014. Since then, Neubauer hasn't lost again, including at 2017's tournament in Portland last October. Runner-up Alex Kerr almost outplayed the champion across the best-of-five series. Watching the match, you could see where Kerr might someday topple Neubauer, but in 2017 he was still too green. Neubauer's controlled but elegant play managed to outlast Kerr's frenetic flashes of brilliance. "It's that third level of play that I wanted to really explore and unlock," Neubauer said of his performance. "There's no real just set-it-and-forget-it piece placements anymore. You're constantly trying to make this perfect move, every move, which can be stressful." That's not an emotion that comes across during Neubauer's matches. Competing in the grand finals every year since they have taken place no doubt gives him an edge when it comes to experience and keeping calm. If this is the Neubauer that manifests during high-level play, however, it's not one he otherwise recognises. "The standing joke is 'Hey, I've got a U-Haul to pack, I bet you're the man for the job,' which couldn't be further from the truth," he said. "I'm not a very organised person." In 2012, Neubauer decided to ditch his career in real estate finance for one in bar management over beers at a local brewery. Neubauer thinks his ability to juggle all kinds of different people, and all of their messy wants, needs, and problems, is related to and has been improved by his approach to Tetris. "I have this just limitless fountain of social enthusiasm that I think comes from making all of those decisions in Tetris and just never being exhausted by it," he said. "I can run out there and always have that kind of social energy. Just at a party even if you don't know anybody it's exhausting to go through all those different decisions like doing this thing there, or what subject do I not breach there." Then there are Neubauer's micro-obsessions and daily rituals. With his first paycheck from Strand Brewing Company, he went out and bought a $US375 ($490) pair of jeans from Roy's Denim, a shop in Oakland, California that makes them by hand using vintage machines. "Each run is unique and I love them to death," he said. "Every two years I buy a new pair and I use them to help chart my strange new adventure in life." And even if he's not the person you want packing your suitcase, his coffee regimen points toward a more meticulous and exacting nature than most. The sequence of measuring, hand grinding, and pouring that all go into making a simple, perfect cup of coffee takes him around 30 minutes each morning. Then there's his love of whisky, which blossomed from that of a moderate dabbler in 2012 to an 80-bottle collection and a cabinet big enough to hold them. "I just kind of get into any little sort of hobby and just take it to its absurd limit," he said. This penchant for boring down into a particular subject — "falling down the rabbit hole," as he calls it — is clearly part of what's helped him succeed at Tetris. And as he's been more successful at Tetris, his obsession with obsessions has only grown. It's also something that the latter's helped unleash in the last five years since he started winning tournaments, embarked on a new career, and got married. "It's about accepting the fact that you're not going to play perfectly." "I kind of turned a corner around 2010," he said. "There's something about the reception I got that made me just appreciate things more, and so I just added new elements. I lost about 18kg. There's something about that self-esteem boost that you get when being recognised for something." Neubauer's Tetris career that's grown to include coaching classes and a small Twitch stream, which he never imagined when he first started submitting scores a decade ago. "It's a weird kind of inflection point in my life, definitely that first tournament," he said. The precise balancing act required by the game was like self-help in this regard, encouraging an approach to life's confusion that's not controlling or over-managed so it breaks under the pressure. "The main takeaway from Tetris that people don't realise is it favours people that make very bold, very quick decisions, and don't get exhausted by them," he said. "I think that's one of my trademark characteristic styles — if you watch me, it looks like I'm making all kinds of mistakes and chaos, and really it's just a way to fill it in later. There're plays where you have to make holes, but it's about accepting the fact that you're not going to play perfectly." "People that are perfectionists, people that would be perfect loading a storage unit, would be horrible at Tetris because they overthink every move," he said. "They can't move past the fact that they have to make some chaos in order to make it work." 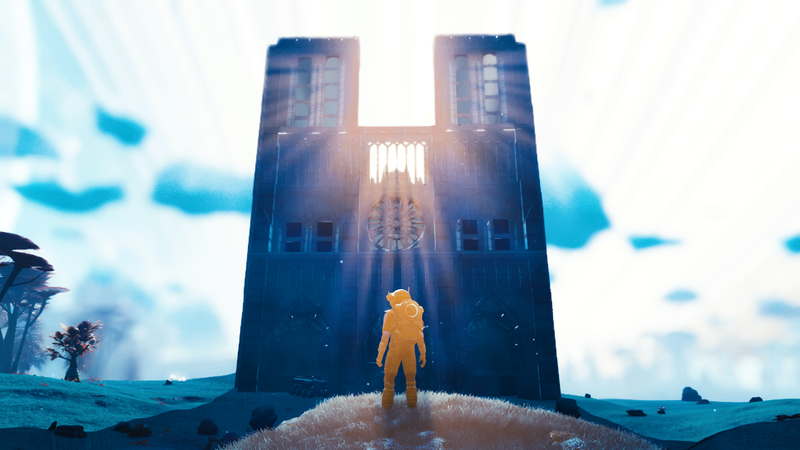 For anyone keen Ecstasy of Order is a good documentary about this guy and several other players and the quest for level 30.